Ivan Beas graduated from the University of California, Davis with a B.S. degree in Global Disease Biology in 2018. One of his interests includes the One Health concept, which takes a holistic approach at viewing the health of humans as being connected to animal health and environmental factors. 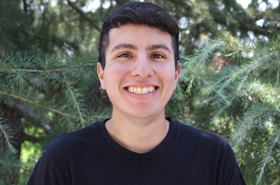 After being exposed to a number of classes and projects in his undergrad, he hopes to pursue a Master’s degree in Public Health within the next few years. Ivan is currently working with Dr. Elizabeth Bromley on a project involving the development of treatment in mental health relating to opioid use disorder.